Wallpapered Dumpsters: Wallpapered Dumpsters Shining Bright! When your dumpster looks very wonderful as that, you will never really missed any trashes spread to the entire surroundings. Why? 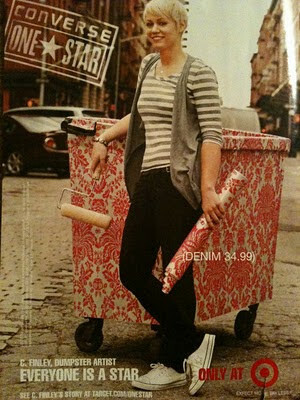 because your dumpster appearance adds to your excitement to work and to get it done. WOW your dumpster looking very nice! Are you also offer the dumpster rental. garbage collector become stunning by this preety girl.nice sharing.